Michigan families speak out about losing loved ones to guardianship. “This is not a system designed to help, this is prison,” said Niki Disner | F.A.C.E.U.S. (WXYZ) – For months, the 7 Investigators have been digging into the guardianship system in Metro Detroit. On Thursday night, we showed you how a local woman says that due to a court-appointed guardian, she can’t make any medical or financial decisions for her aging parents. “To be able to know that you can go home – but they can’t – and they’re crying out to you, ‘please take me home with you, please get me out of here,’” said Lisa Bailey, who’s says she hasn’t been able to see her brother in months because he’s under guardianship. “They took her dignity from her, they took everything from her. She’s completely powerless,” said Peter Klavinger, who’s fighting for his grandmother. Peter says she’s currently in a nursing home, but he hasn’t been allowed by the guardian to his grandmother recently. « Join us Wednesday night LIVE on F.A.C.E.U.S. 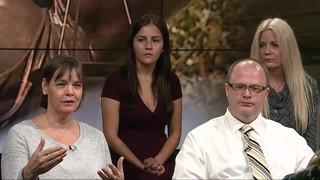 with Robin and Lulu, Marcie Friedman host Rick Black Senate Bill 178, the Elder Abuse Protection and Prosecution Act What does this Bill accomplish, leave out and what remains to be done? S178 would be the first federal law requiring oversight and investigations of the activities of court appointed adult guardians.